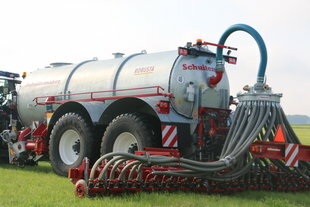 The Schuitemaker Exacta 10 series grassland injectors come in four working widths. 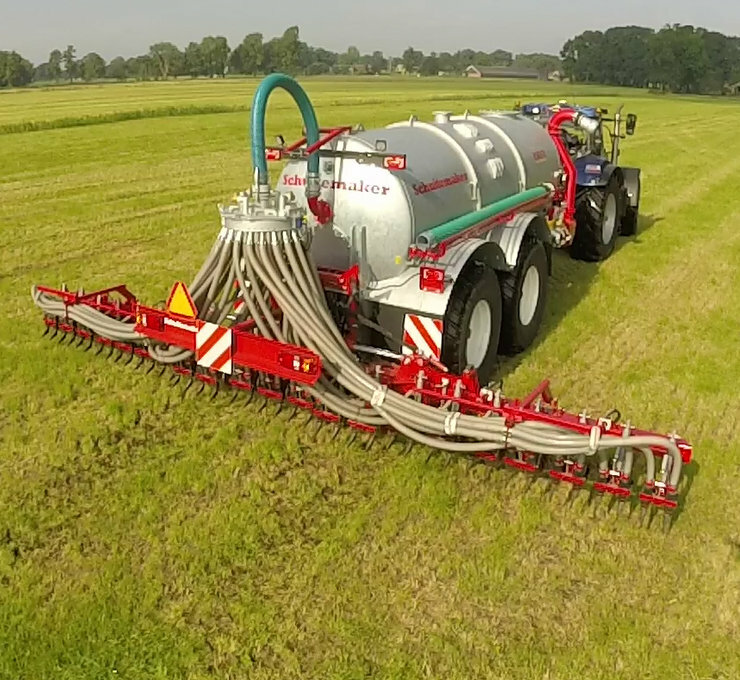 The Exacta 60 is the smallest injector of the 10 series; it has a working width of 6 m. The Exacta has a 30-hole distributor. The Exacta 68 has a working width of 6.80 metres and comes with a 34-hole distributor. The Exacta 76 is the second largest injector of the 10 series. This injector has a 38-hole distributor and a working width of 7.60 metres. 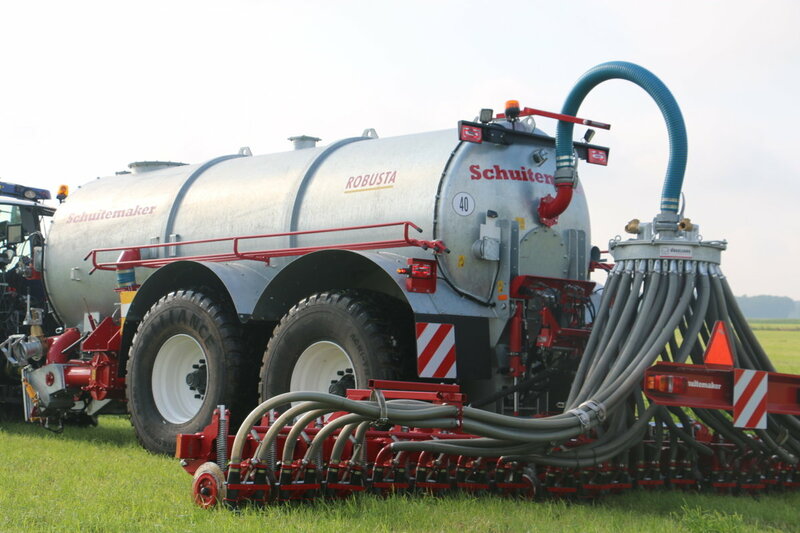 With a working width of 8.40 metres and a 42-hole distributor, the Exacta 84 is the largest injector of the 10 series. All Exactas are fitted with a mechanical spring to control the ground pressure. The spring pressure has three settings. Other than that, all injectors are fitted with a bumper with lighting (12 Volts) and a support frame for winter storage.